Whether you're a serious athlete or a weekend warrior, if you like to keep your heart pumping while sightseeing, you've got plenty of great options in Europe. From scenic jogs through Stockholm to paddling a boat in Hyde Park to biking through bustling Amsterdam, active travel can be better travel. Biking not only provides a workout; it's an efficient way to get around. On a well-fitted rental bike, I feel local, efficient, and even smug — especially during rush hour, when I can get across town faster than by taxi or tram. Europeans are often genuinely impressed when they encounter Americans who reject the view from the tour-bus window in favor of huffing and puffing on two wheels. A few European capitals (such as Rome and Athens) are not practical for biking, but many cities have extensive, well-marked bike lanes. Citywide programs all over Europe offer hundreds of free (or very cheap) loaner bikes, which are locked to racks around town — but I prefer to rent a sturdier one from a bike shop. Rental bikes are bargains at $15–25 per day, and generally include strong locks. Europeans don't take helmets as seriously as Americans so safety headgear isn't always available. 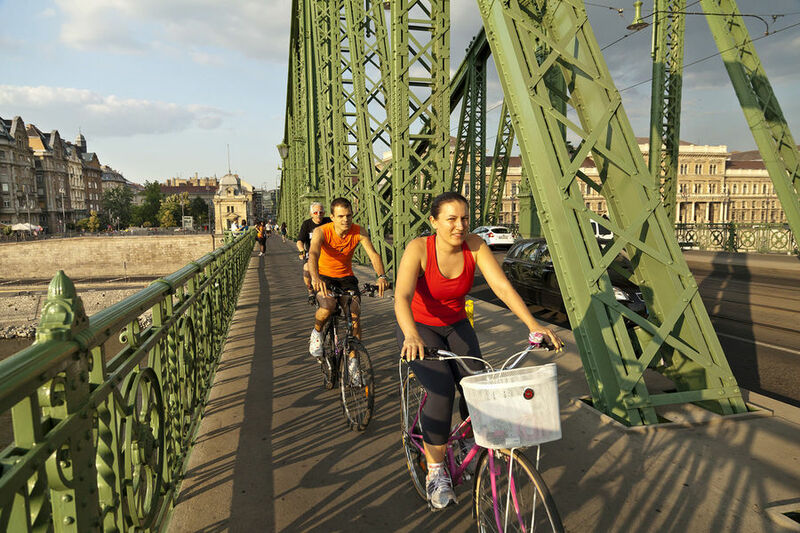 For a quick but meaningful spin around town, consider a bicycle tour. You'll find fun and memorable guided bike tours in Amsterdam, Barcelona, Berlin, Bruges, Budapest, Munich, and Paris, as well as many bike-friendly countryside areas. You'll get a young, entertaining, often foul-mouthed, sometimes informative guide who will give you a breezy introduction to the city and a close-up look at back streets few tourists ever see. Tours are typically fun, reasonable (roughly $30), and an easy way to meet other travelers as well as get a new angle on an old city. You can get even closer to the ground — and the locals — in cities such as Paris, Berlin, Frankfurt, and Munich, by joining an in-line skate night. For example, Amsterdammers get their skating fix every Friday night in Vondelpark, a big, lively park in the city center. Join the huge group at 8 p.m. in summertime near the Vondel Pavilion (skate rental nearby). If you prefer skiing, try year-round dry-slope skiing or snowboarding in Scotland's Midlothian Snowsports Centre, just south of Edinburgh. Skiing down the sloped brushy matting feels like snow skiing on a slushy day; there's a chairlift, a jump slope, and rentable skis, boots, poles, and helmets. You can't ski at Oslo's Holmenkollen Ski Jump — but you can get an athlete's perspective by getting into position at the starting gate of the futuristic, cantilevered jump, built for the 2011 World Ski Jump Championship. The view of Oslo is exciting — but even more thrilling is the $100 zip-line ride letting you fly like a ski jumper from the same lofty perch. To cap my Holmenkollen experience last summer, I skipped the zip and instead ventured into their simulator (near the entry of the ski museum), where I (virtually) flew down the ski jump and skied in a downhill race. My legs were exhausted after the five-minute terror. Outside, I had fun watching a candid video of those shrieking inside. I always enjoy the fun summer workout of a river swim in Bern, Switzerland's capital. The swift-flowing river looks glacial blue but is surprisingly warm on a hot day, filled with carefree swimmers and a flotilla of rubber rafts. Swimming here, I get a close-up insight into the national psyche: Even in bathing suits and under a glorious sunshine, the Swiss are subdued. The most enthusiastic expression is my happy shudder as I make the plunge. I free float until nearing a post, which bathers grab to escape the swift current and return to shore. At that point, I have to paddle like mad to grab it or be swept away to who knows where. Boating is also terrific for sizzling summer days. 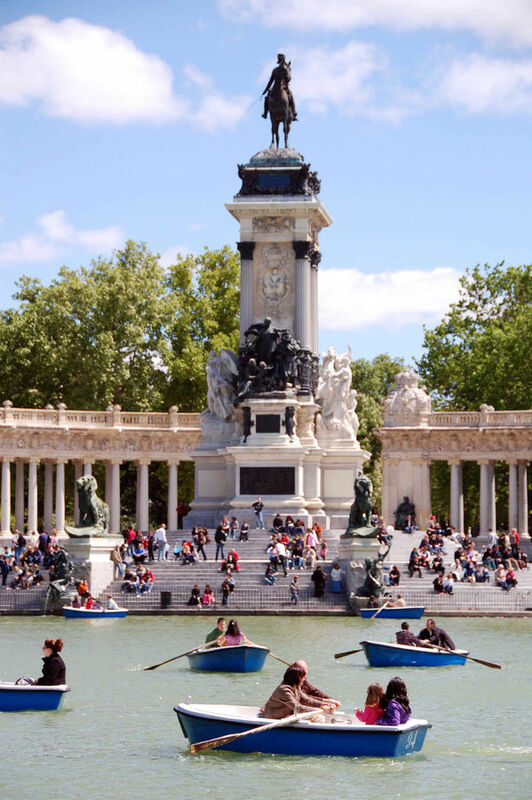 Rent a rowboat to tool around the lake with the swans in London's Hyde Park, Paris' Bois de Vincennes, or Madrid's Retiro Park. In Prague, rent a boat on the island by the National Theater — as you row you'll get a workout and watch local lovers cruise by in their own boats. You can glide a canoe through canals in charming villages just outside Amsterdam, like I did recently on a guided Wetlands Safari tour. Europe's cities are treasure chests of great art and history, but there's no reason to spend your entire vacation shuffling through museums. Breaking into a sweat in the sunshine can be just as culturally fulfilling as cruising a church or a palace — and much more invigorating.